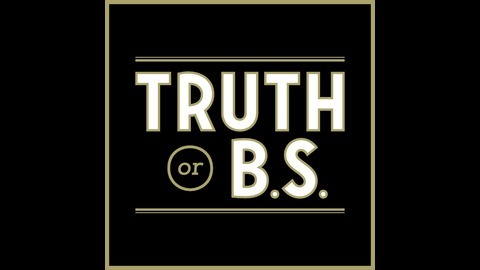 Truth or BS is a variety podcast recorded live at the Truth Bar in downtown Minneapolis, MN where panelists, guests and entertainers discuss the topics of today. From politics and business to culture and society, from local to global news. 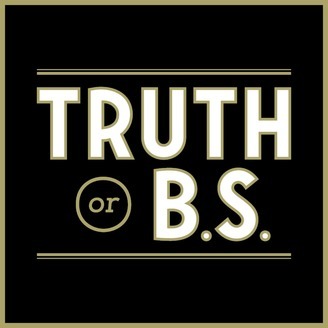 It’s one part late night talk show, one part happy hour, and there's only one rule: no BS allowed. With Fair State and Tin Whiskers beers in hand, two Twin Cities mayoral candidates, a business owner, and a council member/pastor get together to discuss life and business from each side of the Mississippi River, with only one rule: no BS allowed. Featuring: Host Steve LeBeau – Editor-in-chief of Minnesota Business Magazine Captain Peter Hajinian – Copywriter at KC Truth Panelists: Dan Collison – Minneapolis Downtown Council member, Director of Downtown Partnerships, Executive Director for East Town Business Partnership and 2020 Partners, Lead Pastor at First Covenant Church. Jacob Frey – Minneapolis Mayoral Candidate, Third Ward representative on the Minneapolis City Council, first recipient of the City of Minneapolis Martin Luther King Jr. award. Pat Harris – St. Paul Mayoral candidate, Senior Vice President at BMO Harris bank, 12 year representative of Highland Park and Ward 3 on the St. Paul City Council. Trisha McGovern – Owner of the soon-to-be opened Boomshack Market on West 7th, came up in a colorful family that has long ties to the MPR, Keys Restaurant and McGoverns to name a few, lover of all things in the “Saintly City”. Music by Bill Lang Sponsors: Kruskopf & Company (KC Truth) Minnesota Business Magazine Fair State Brewing Cooperative Tin Whiskers Brewing Recorded live in the Truth Bar in downtown Minneapolis.